Ah, the season for all things pumpkin. I must admit, my love for pumpkin everything didn't start until my mid 20s; now I wonder how I ever lived without it. 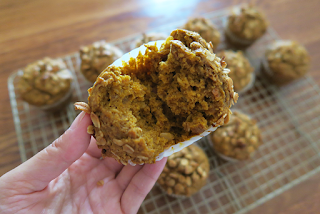 All the cozy, warm spices and fall flavors - it's impossible to go through the season without AT LEAST one pumpkin treat. 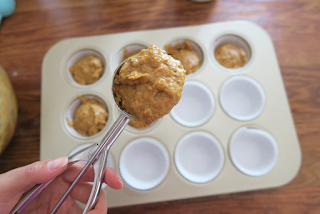 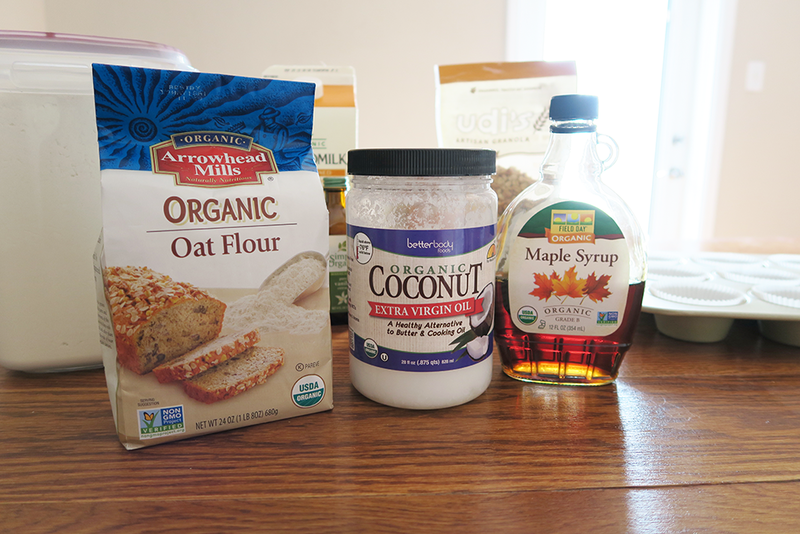 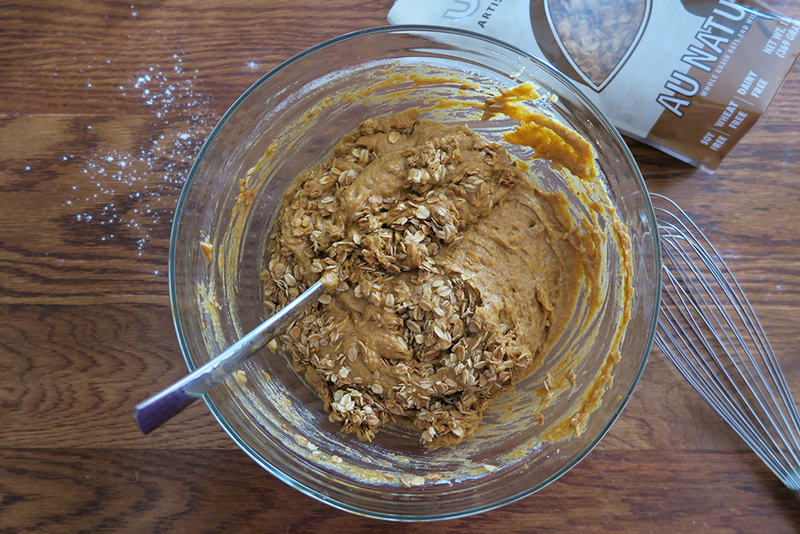 The secret is substituting a few ingredients for better ones like oat flour, coconut oil, and maple syrup. The star ingredient of course is pure pumpkin puree. Before starting the mixture, preheat your oven to 350 degrees and line your muffin tin. 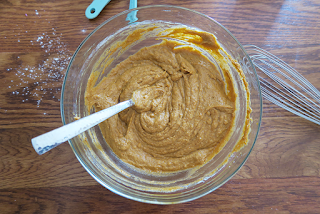 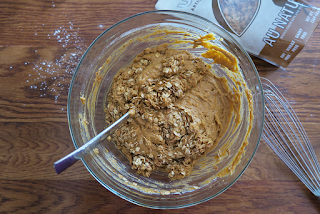 Then, combine the flour, pumpkin pie spice, baking soda, baking powder and salt in a bowl and set aside. 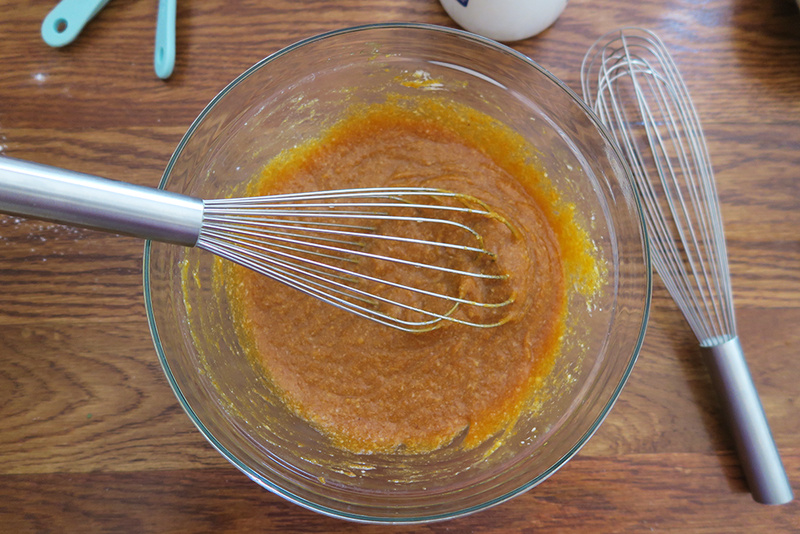 In a large bowl, whisk together the softened coconut oil and maple syrup - it might look a little clumpy, but don't worry. 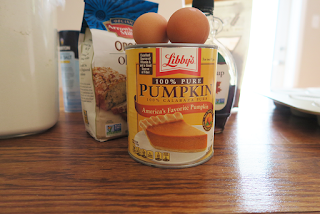 Add the pumpkin puree, eggs, and vanilla and mix until everything is combined. 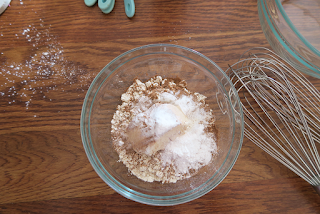 Use an ice cream scoop and divide the batter evenly - you should get about 12 muffins. 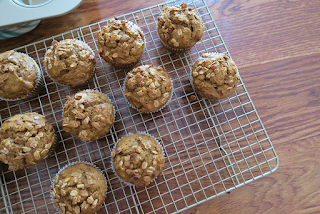 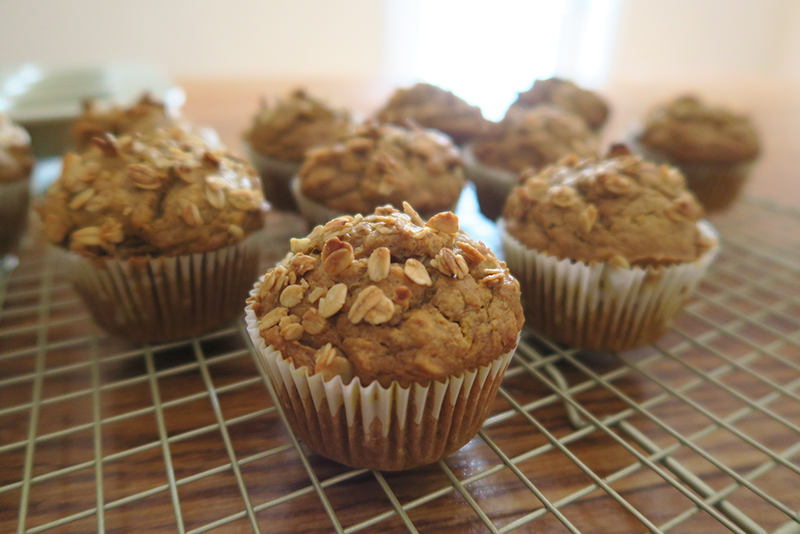 I topped each muffin off with some more granola for a decorative look, but that's optional. Bake for about 20 minutes or until fully cooked through - I like using the toothpick test. A sweet fall treat that's healthy and hearty, perfect for breakfast on-the-go or as an afternoon pick me up. 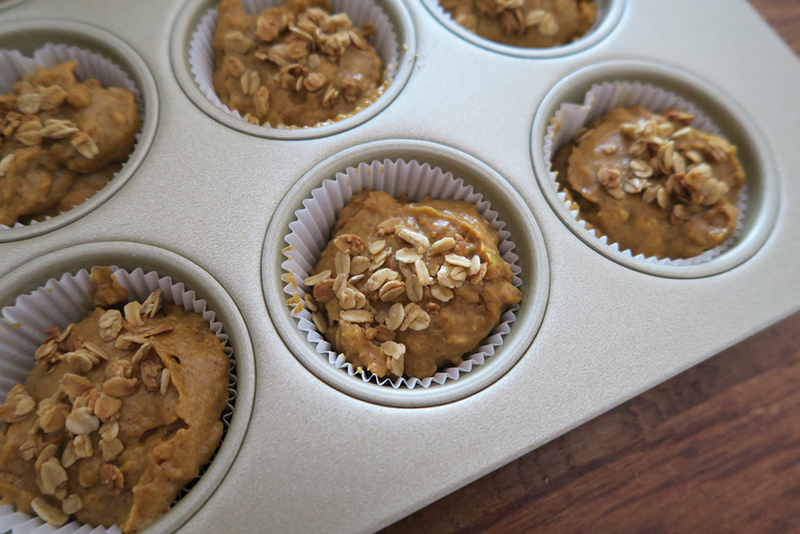 Trust me, you're going to love these!